An ex-Mormon gay girl trying to figure out life. Hi. We’re Mary and Shelly. 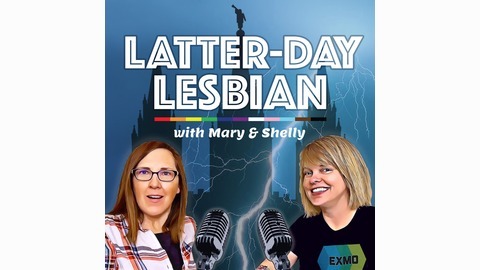 Together we’re telling the story of Shelly, the Latter-Day Lesbian. She was born and raised Mormon, got married young, birthed 7 kids, left the religion, came out of the closet, got divorced, and at this point she’s just trying to make sense of it all. So now what? It’s life, and we wanna talk about it! Join us for some laughs and some tears. It’s raw and honest, funny, painful and hopeful all at once. Now playing on your favorite podcast app. Become a supporter of this podcast: https://anchor.fm/ldl/support. Who was Lehi and what was his brass ball doing outside of his tent? Find out on this weeks FUMPOTD! 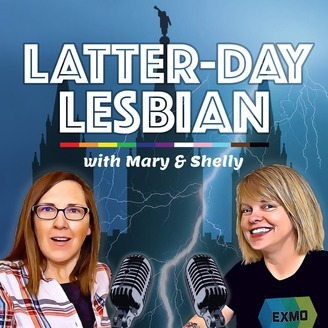 That's a whole lot of fun, and so is roasting this week's troll: President Russell M. Nelson himself! So pull up a seat and enjoy whatever beverage that will make the prophet's garments bunch up in the biggest knot. It's a good one!